WASHINGTON (AP) — Hospitals within the same city sometimes charge tens of thousands of dollars more for the same treatment, according to figures the government released publicly for the first time Wednesday. The federal list sheds new light on the mystery of just how high a hospital bill might go — and whether it's cheaper for uninsured patients to get the care somewhere else. But it doesn't answer the big question: Why do some hospitals charge 20 or even 40 times more than others? "It doesn't make sense," said Jonathan Blum, director of the government's Center for Medicare. The higher costs don't reflect better care, he said, and can't be explained by regional economic differences alone. Blum said he hopes making the information available without charge to the public will help generate answers to the riddles of hospital pricing, and put pressure on the more expensive hospitals. The fees that Medicare pays hospitals aren't based on their charges, Blum said. But patients who are without government or private medical coverage are subject to them. The new information should help those patients decide where to get care, he said. There are vast disparities nationally. The average charges for joint replacement range from about $5,300 at an Ada, Okla., hospital to $223,000 in Monterey Park, Calif. It's not just national or even regional geography. Hospitals within the same city also vary wildly. In Jackson, Miss., average inpatient charges for services that may be provided to treat heart failure range from $9,000 to $51,000, the Department of Health and Human Services said. Hospitals usually receive less money than they charge, however. Their charges are akin to a car dealership's "list price." Most patients won't be hit with these bills, because they are paid by their private insurance, Medicare or Medicaid at lower rates. Insurance companies routinely negotiate discounted payments with hospitals. "These charges really don't have a direct relationship with the price for the average person," said Chapin White of the nonprofit Center for Studying Health System Change. "I think the point is to shame hospitals." The charges do show up on the bills of people without medical coverage, many of whom try to negotiate smaller fees for themselves. And they could affect people paying for care that is outside their insurance company's network. Hospitals say they frequently give the uninsured discounts. "This is the opening bid in the hospital's attempt to get as much money as possible out of you," White said of the listed charges. And some people pay full price, or try to afford it, because they don't know they can bargain for a discount, White said. The department released a list of the average charges at 3,300 hospitals for each of the 100 most common Medicare inpatient services. The prices, from 2011, represent about 60 percent of Medicare inpatient cases. "Hospitals that charge two or three times the going rate will rightfully face scrutiny," Health and Human Services Secretary Kathleen Sebelius told reporters. 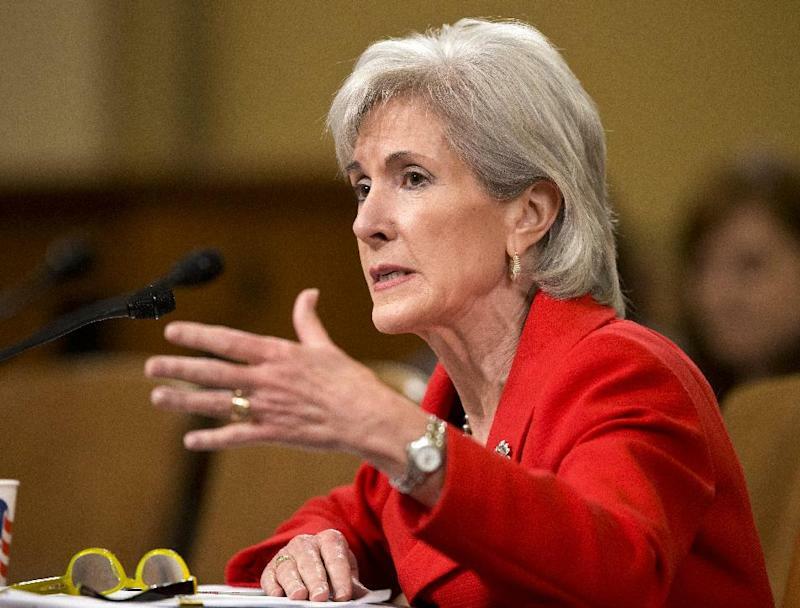 And consumers will benefit from more information about a mystifying system that too often leaves them with little way of knowing what a hospital will charge or what their insurance companies are paying for treatments, Sebelius said. Previously, the price information that the government collects from hospitals wasn't available to the average consumer, although the data could be purchased for uses such as research, officials said. The department also is making $87 million in federal money available as grants to states to improve their hospital rate review programs and get more information about health care charges to patients.